The Nordstrom Fall Sale is here, and it's a fantastic sale for winter must-haves – coats and boots. From wool walking coats to puffy parkas, the Nordstrom Fall Sale has an amazing variety of outerwear at amazing prices. Below I styled a few of the coats all with items from the sale to show you the great variety, but recommend you check out the sale yourself. Along with coats and boots, the sale has great prices on sweaters, dresses, jewelry, and more. Shades of wine are popular this season, and they look so chic and classic when paired with camel. 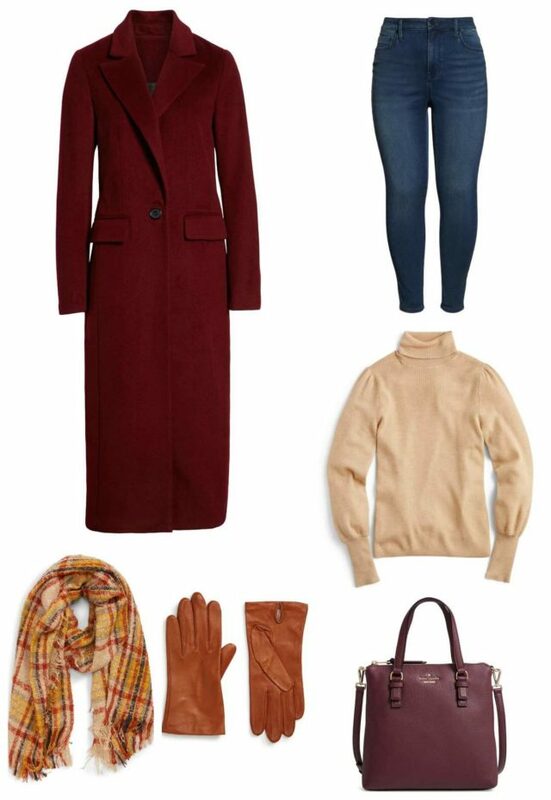 Rich autumnal colors elevate a basic pair of jeans and turtleneck sweater and are pieces that are fashionable now and stylish for years to come. This coat from J. Crew comes in so many gorgeous colors, it was hard to pick one. I chose teal as it's a gorgeous complement to so many other colors – plum, wine, camel, pumpkin, purple, navy, and more. I know not all of you live where there are frigid temps, this is a great look for fall weather where a silk scarf can get the job done and remain as part of your indoor ensemble. This is the leather moto jacket I wore in this outfit post; I'm so excited to see it on sale! It's relatively heavy and has been a great topper right now when the temps are in the 40's. 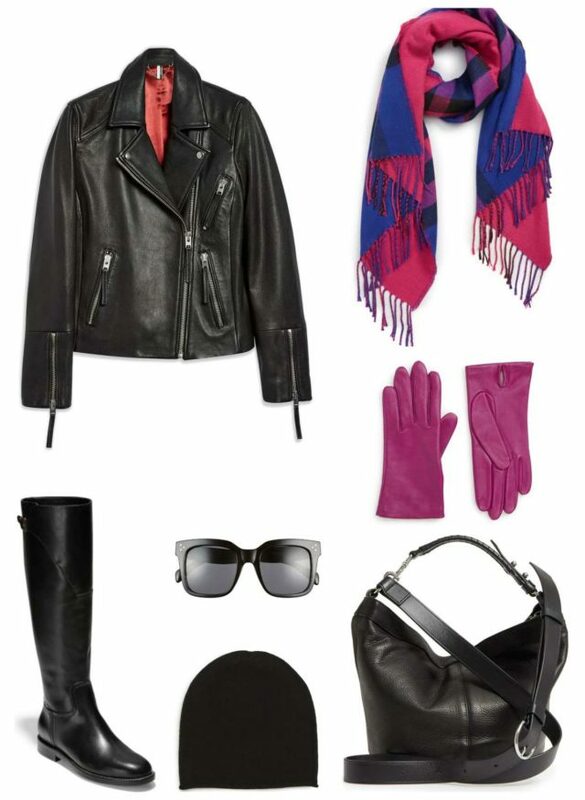 Paired with accessories to fight the chill and wind, it's a chic look for fall into early winter. Who says pastels are only for spring? 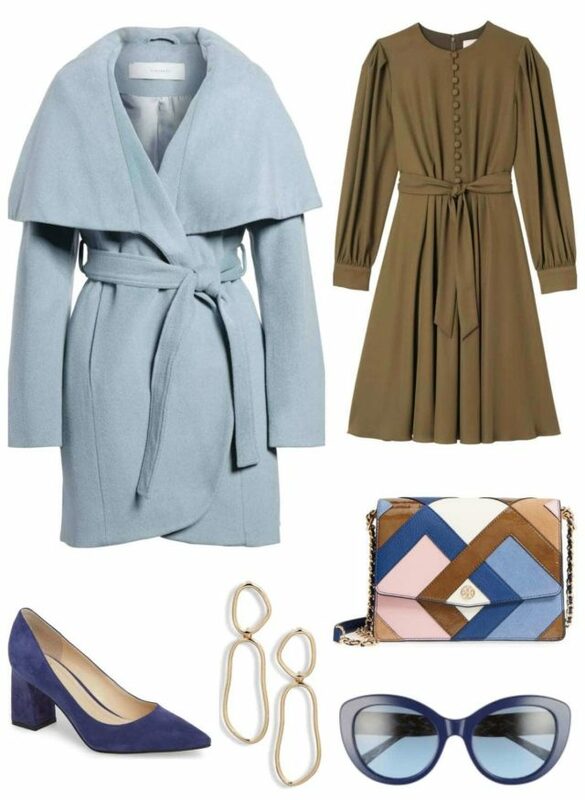 An icy blue coat is a wonderful change in the colder months and so easy to accessorize to create different looks. Here, I styled it with shades of brown, camel, and navy for a look that's modern and feminine. However, don't be afraid to pair it with bold colors like mustard, berry, bright blue, teal, or dark red for a completely different effect. 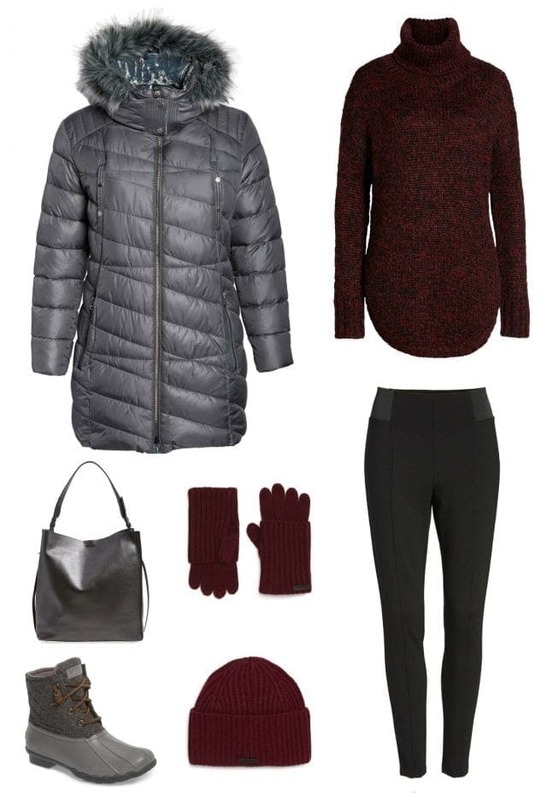 The selection of parkas and puffer coats is excellent; I myself am looking to add one to my winter outerwear wardrobe. And this bag? It's the same one I bought over a year ago and still love more than any other bag in my wardrobe (stay tuned, it will be in a blog post later this week). 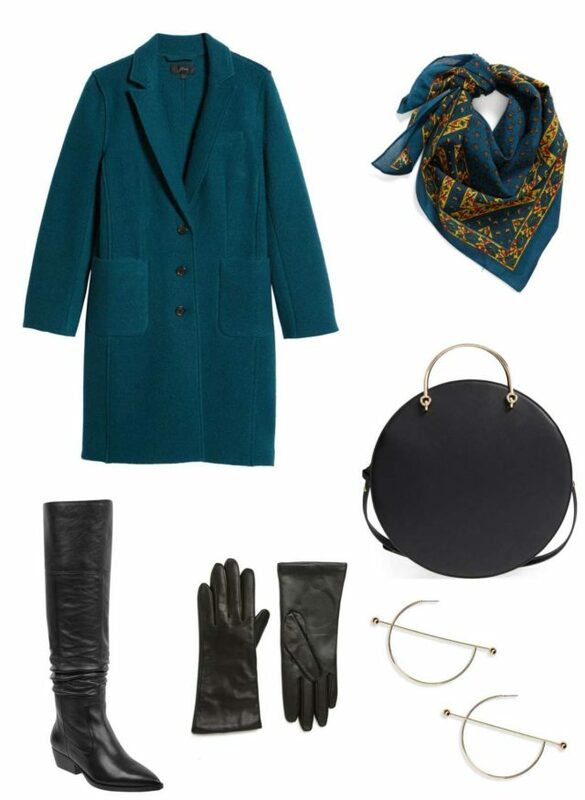 I am interested in the 100% teal wool coat. I read the reviews and folks seem to love it or really hate it- not many opinions in the middle. There is no Nordstroms within a few hundred miles of me so I can’t inspect it in person. Have you actually seen it and touched it? are the complaints that the coat is poorly constructed and looks cheap. on the catalog photo. What do you think? I think it’s a cute coat, she has it for over a year. She’s never said it was itchy, and it seems to have held up for her for a while.